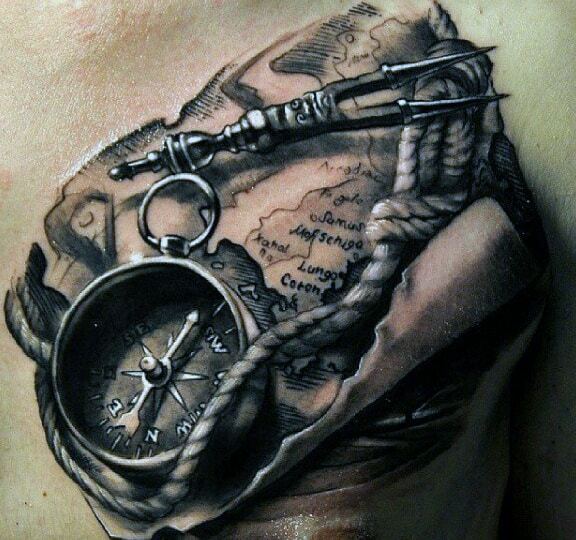 For any man, the thought of navigating life be a scary thought. 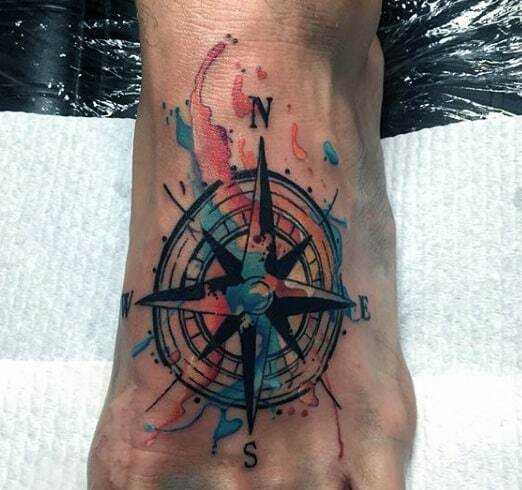 With every step we make there is always the possibly of taking a wrong turn or path. 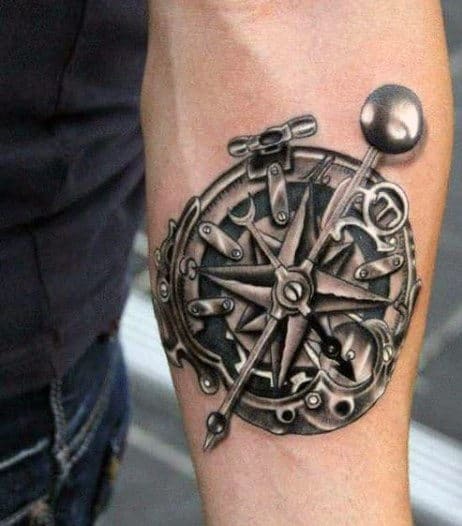 Luckily, a compass whether physical or moral, can guide us safely along our journey. 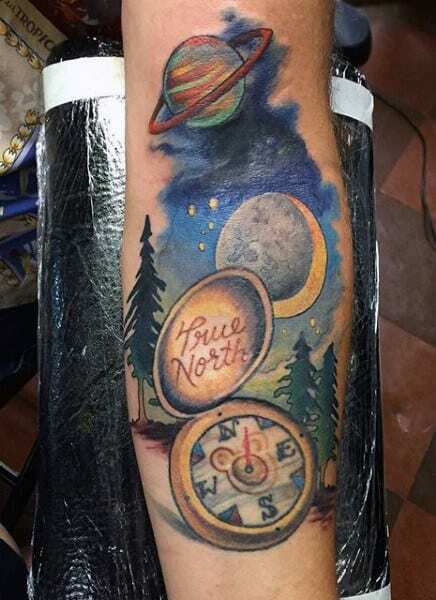 Back in 3000 BCE, the constellation Draco held the Thuban star. 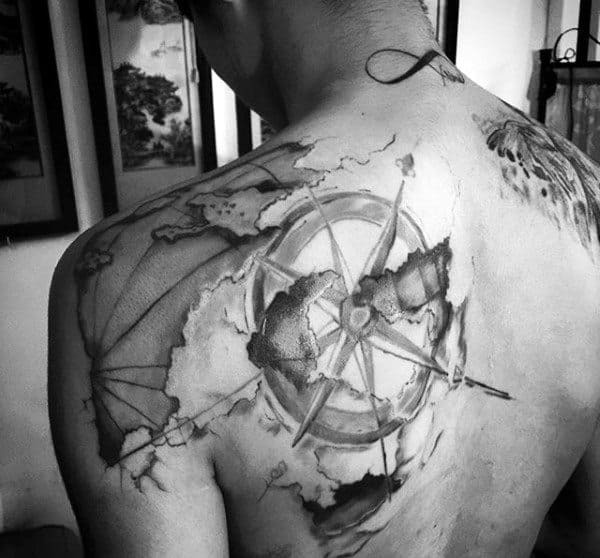 For men of this time period, it acted as a faint guiding light with only one-fifth the brightness of Polaris. 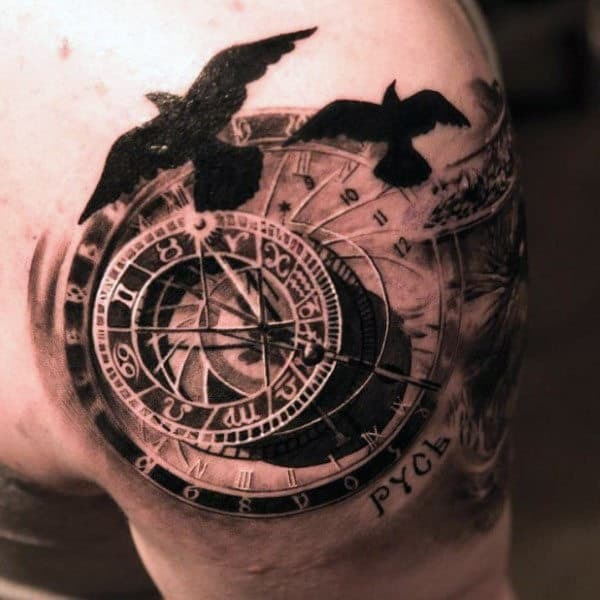 By 27800 CE, the Polaris, which rested some 434 light years away, would claim the title as the North Star, or Pole Star. 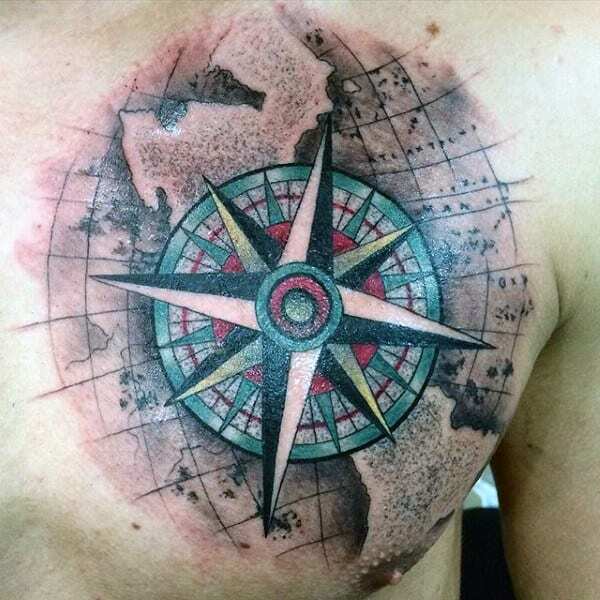 Yet, you might be surprised to know that at the present moment there is no South Star that can measure up to the Polaris. 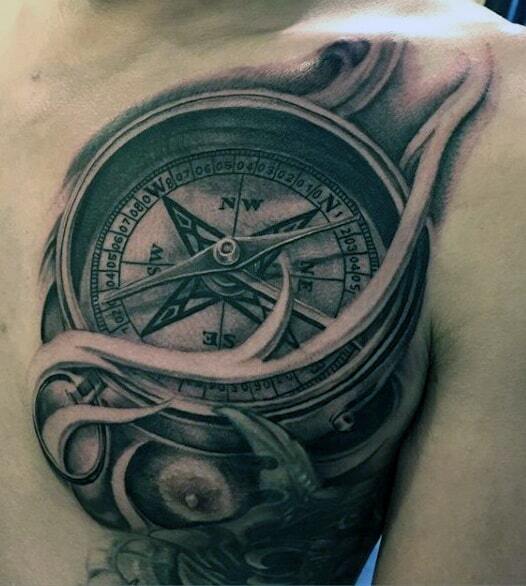 For the compass itself, it wouldn’t appear until the Chinese Han Dynasty in 206 BC. 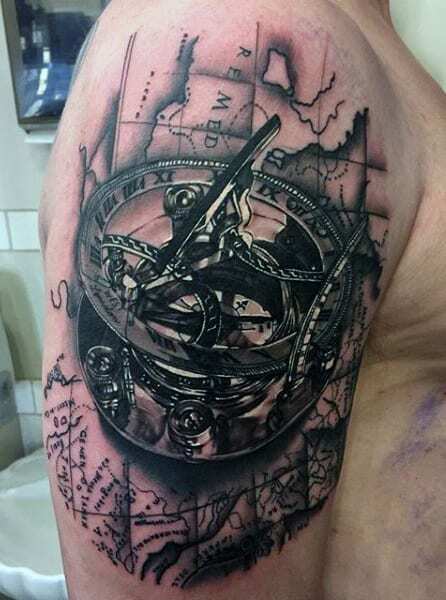 When it first surfaced, it was used for everything but navigation, like fortune-telling and geomancy! 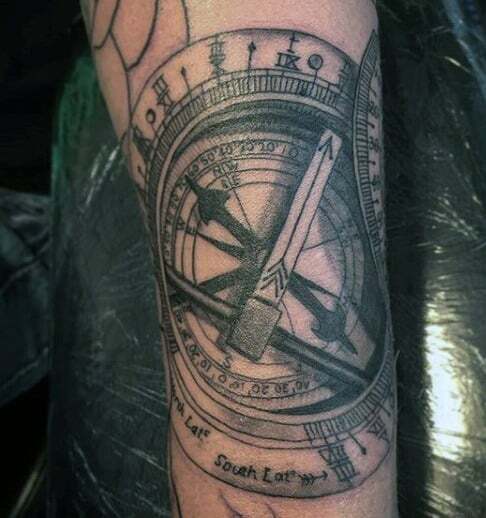 However, within time the compass would eventually become what it is today, an important directional guide. 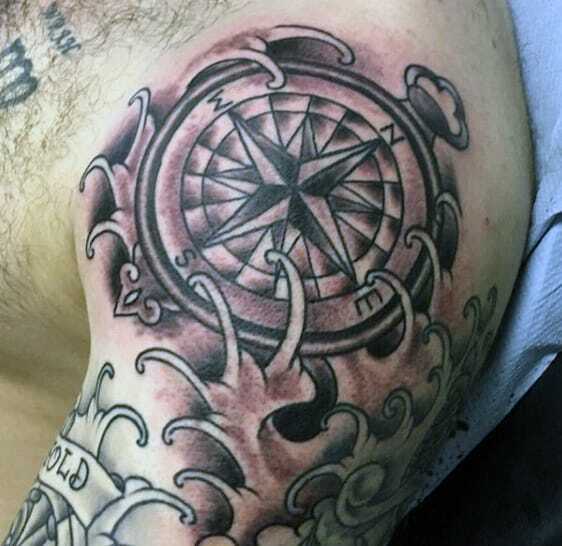 Speaking of today, the meaning behind compass rose tattoos is quite straightforward. 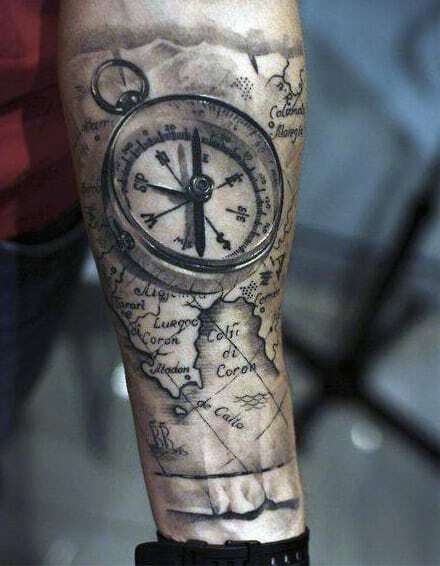 For the traveler, it is a symbol of adventure or a past voyage. 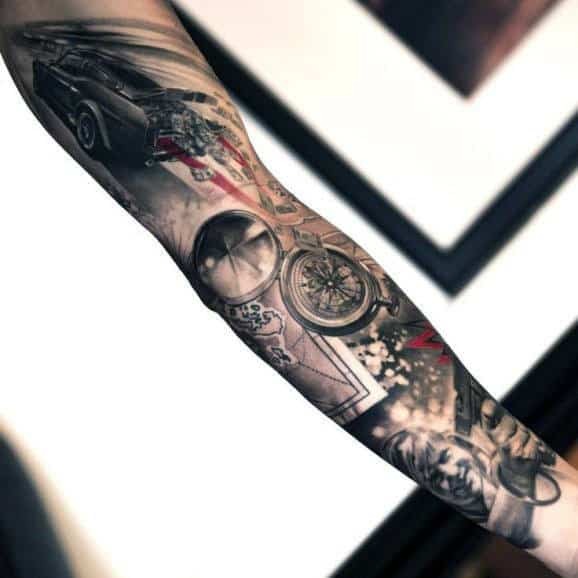 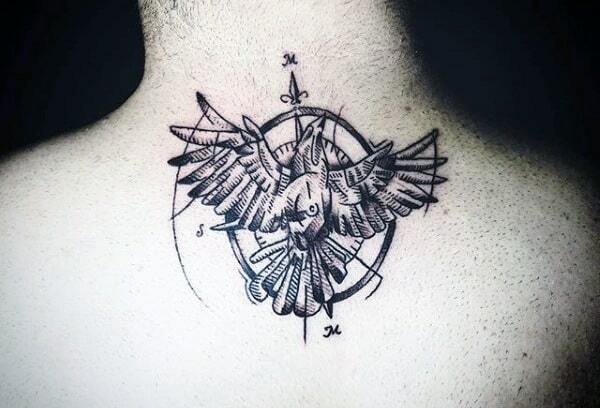 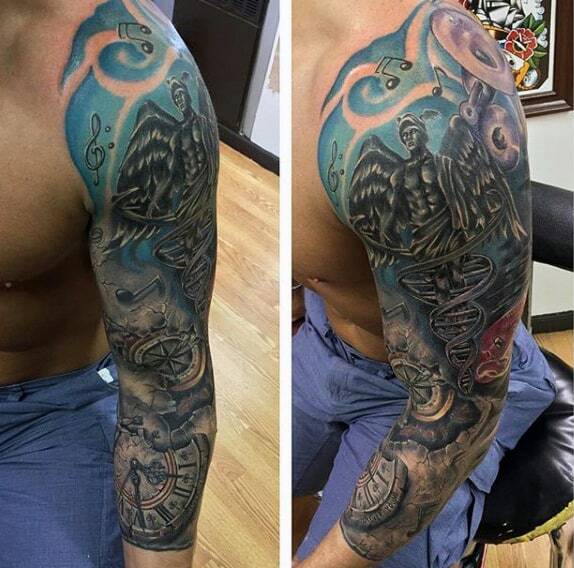 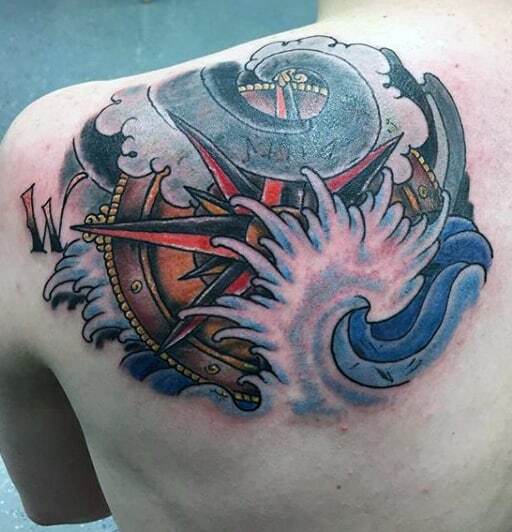 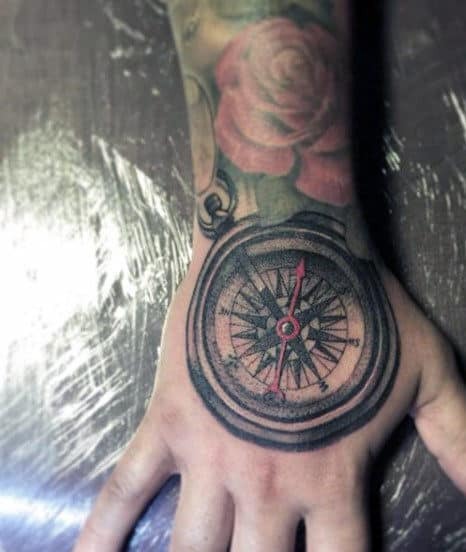 For other men it symbolizes a steady focus on the future and a reminder to stay on the right path. 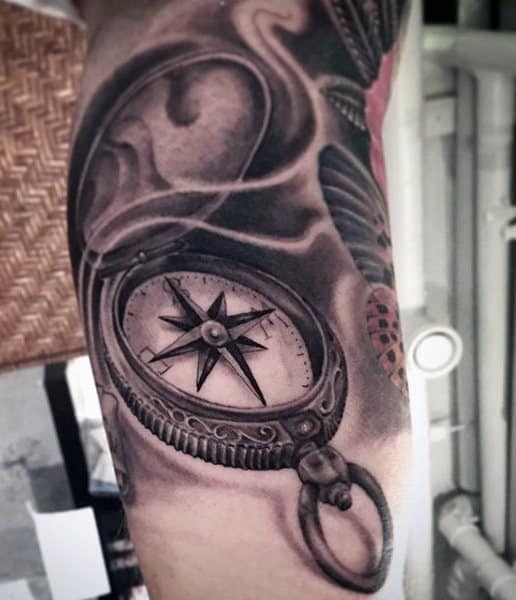 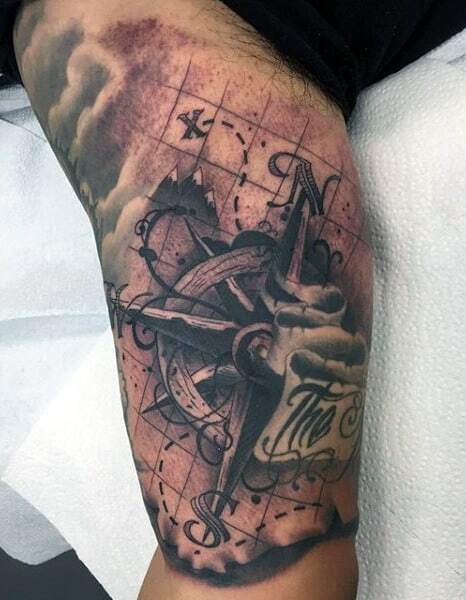 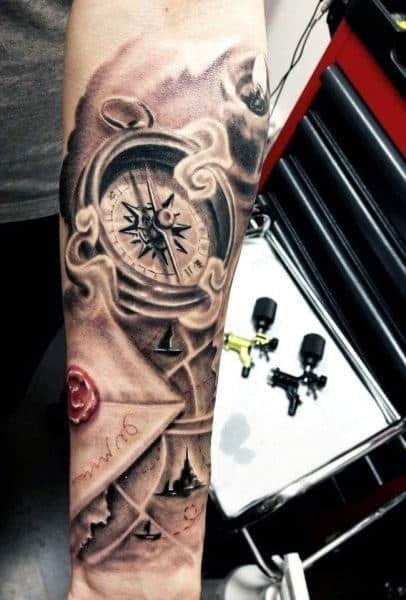 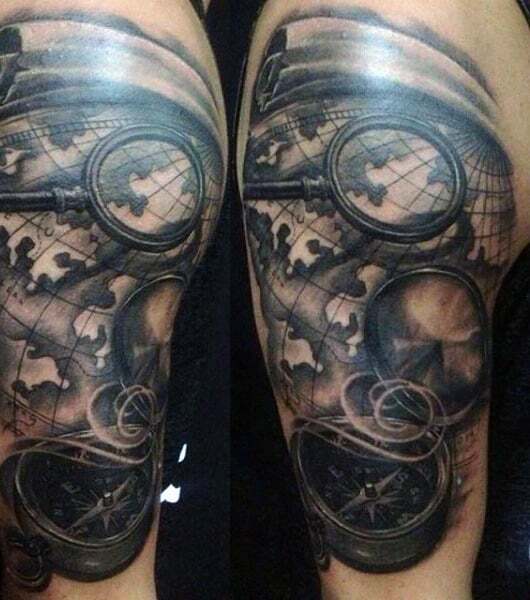 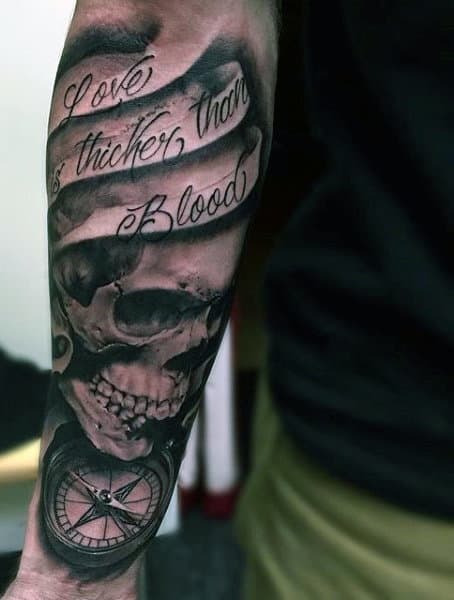 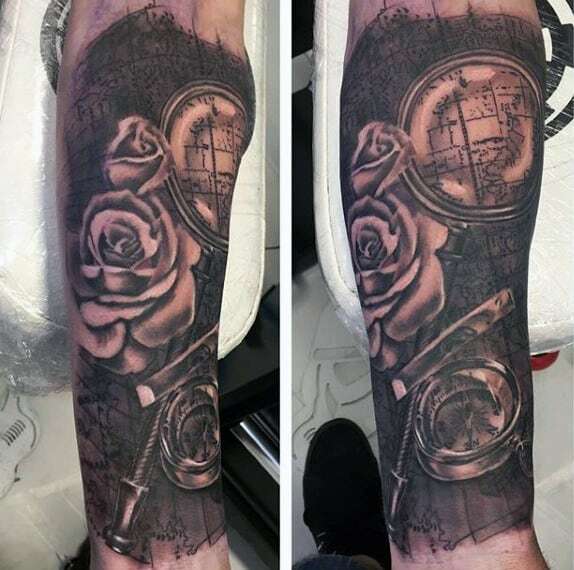 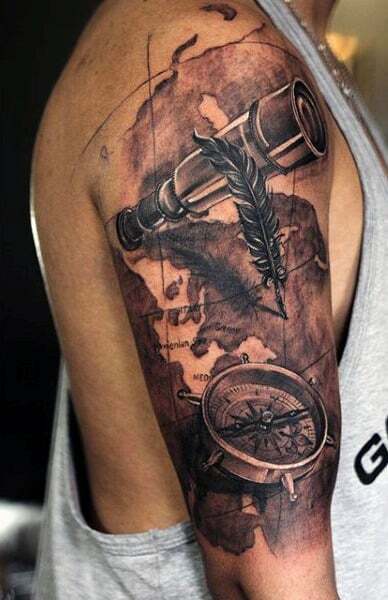 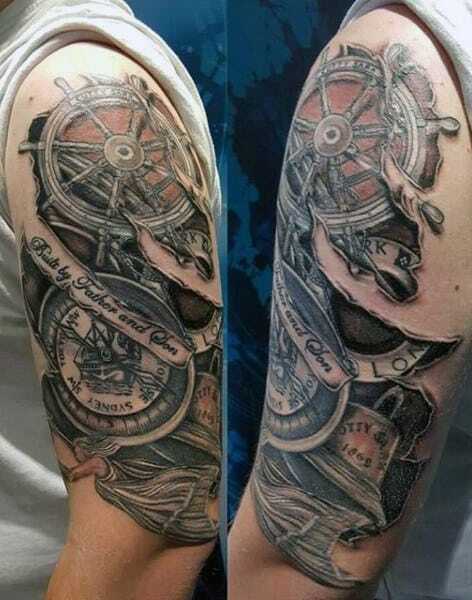 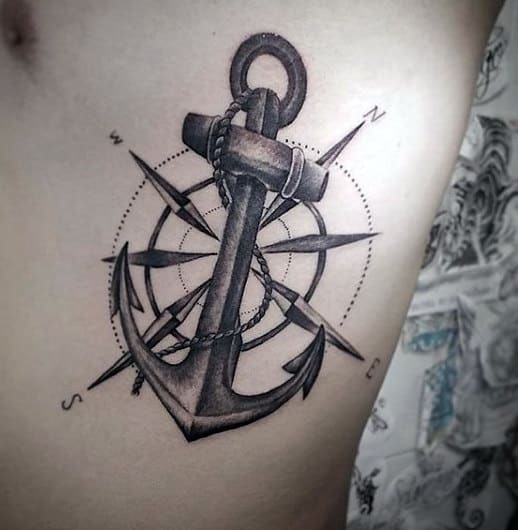 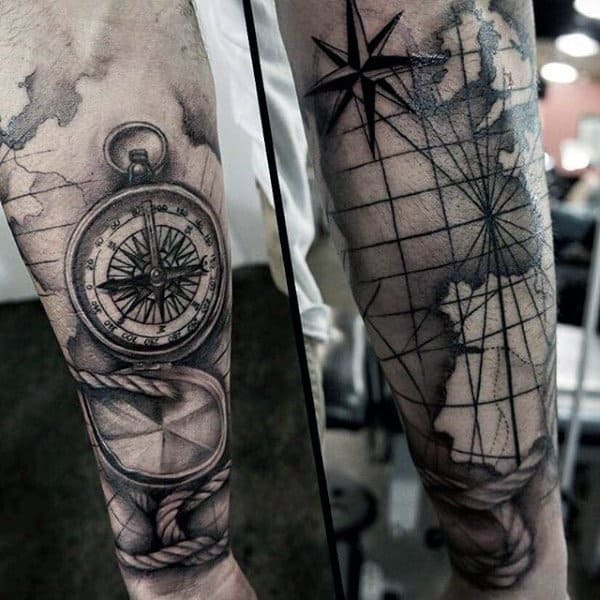 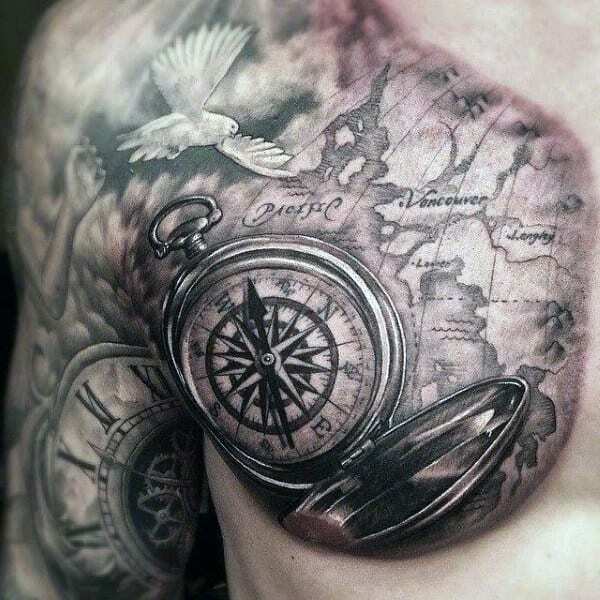 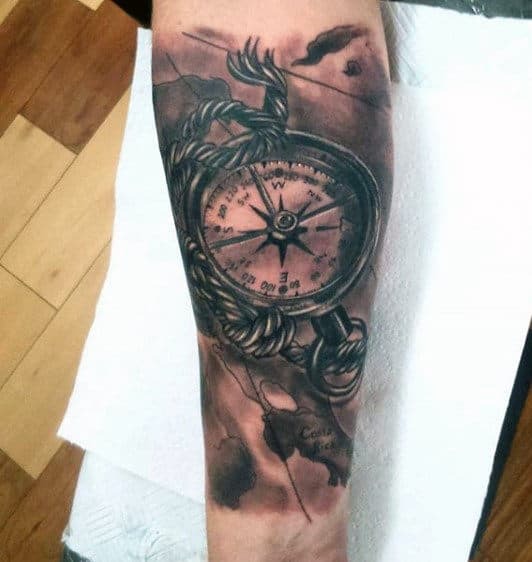 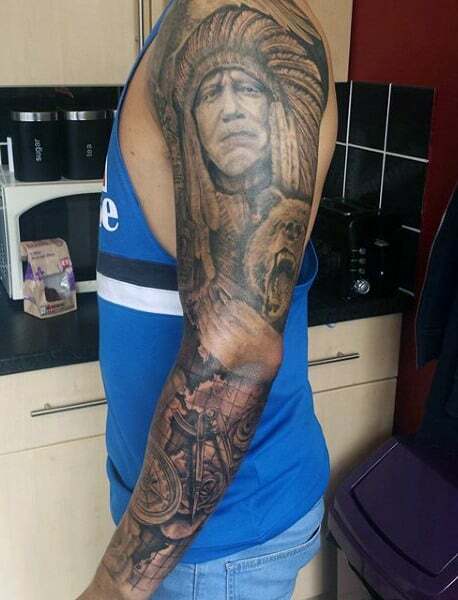 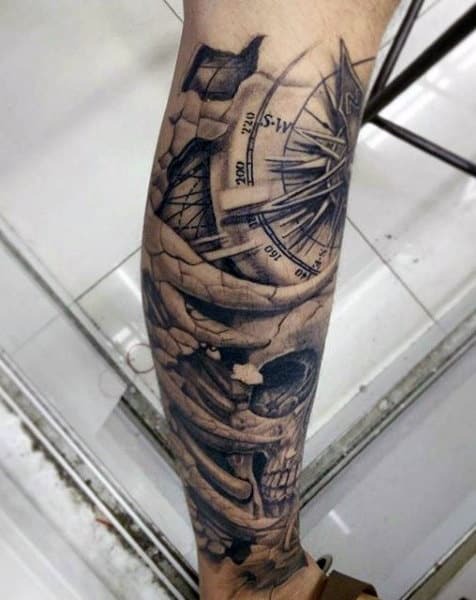 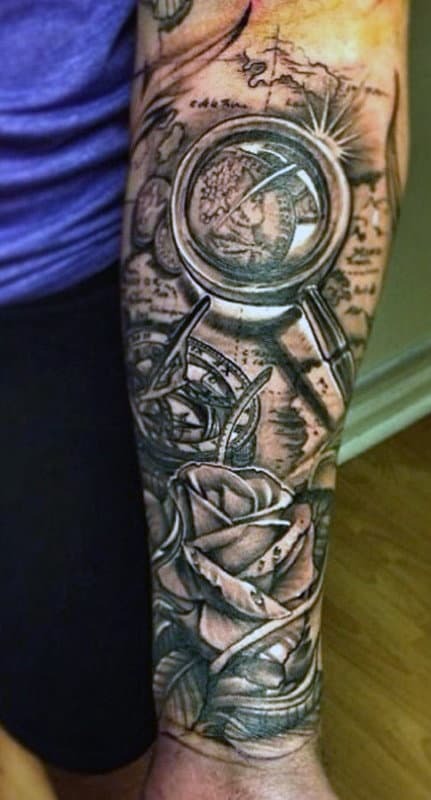 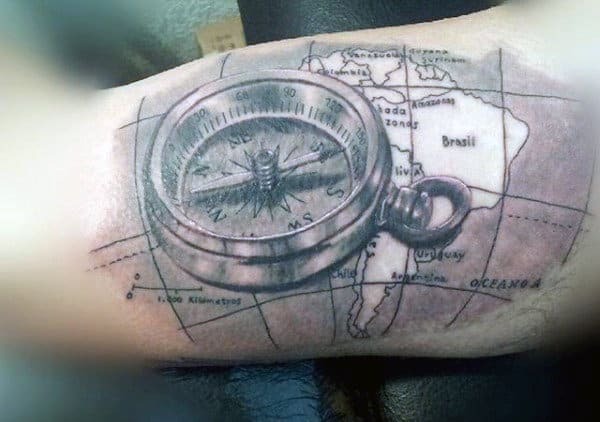 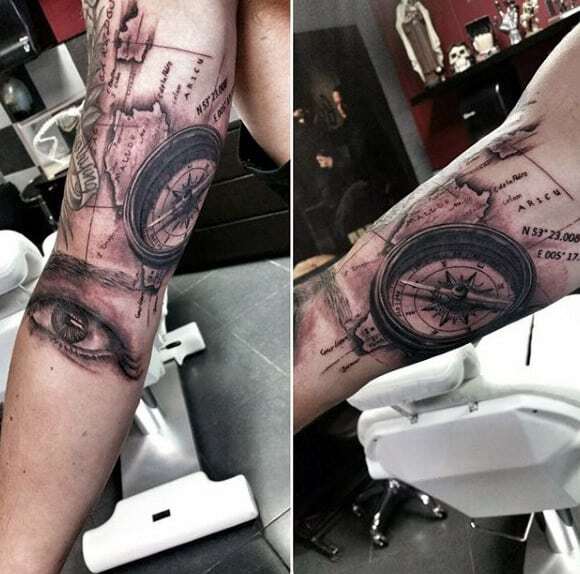 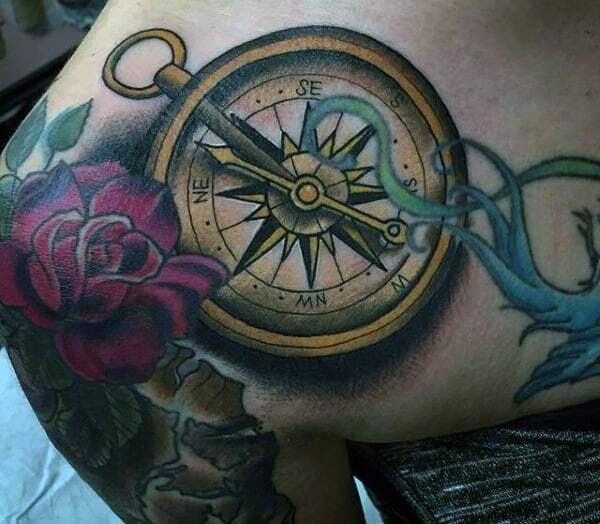 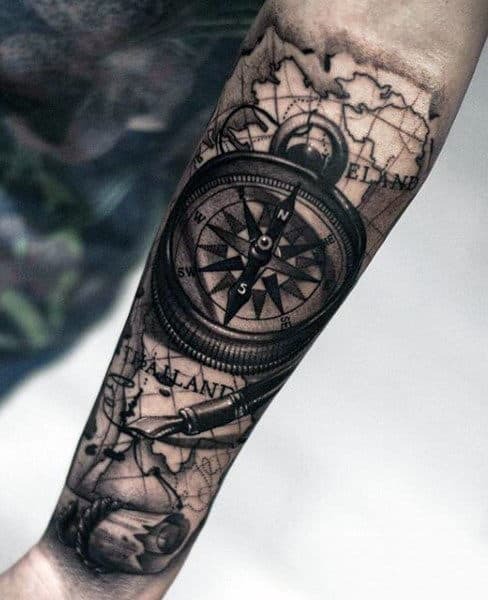 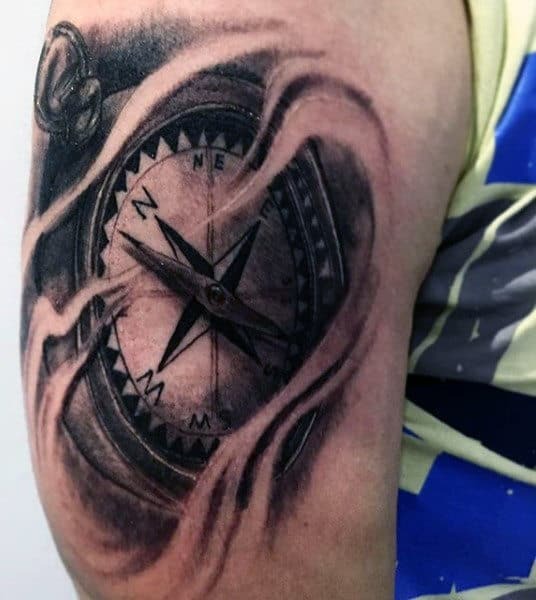 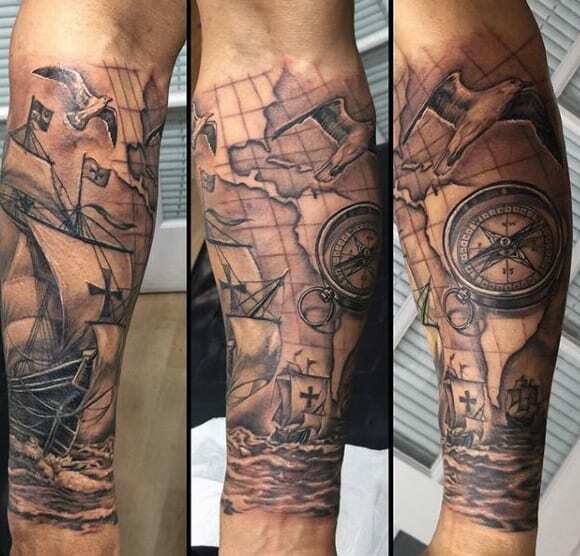 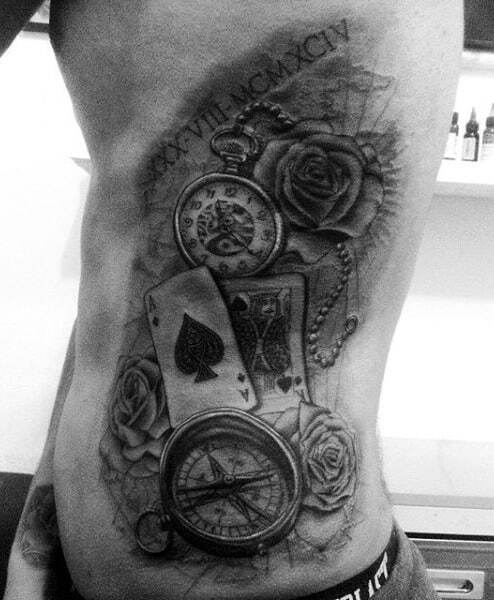 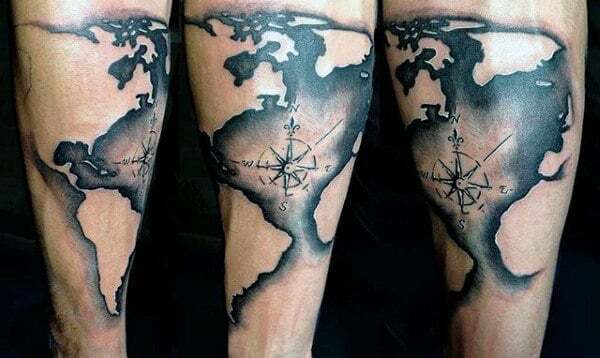 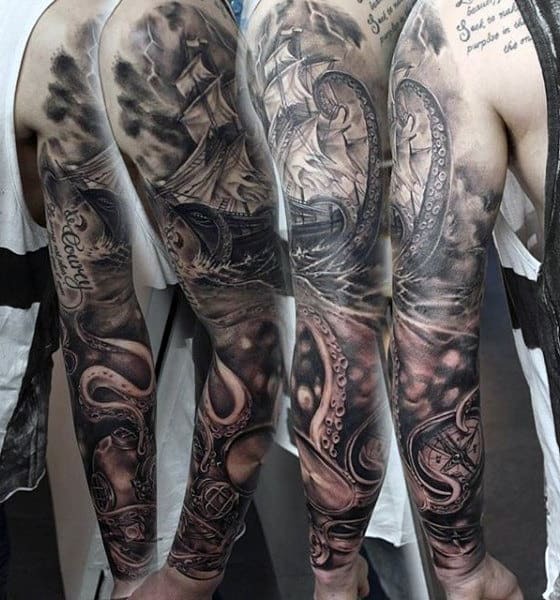 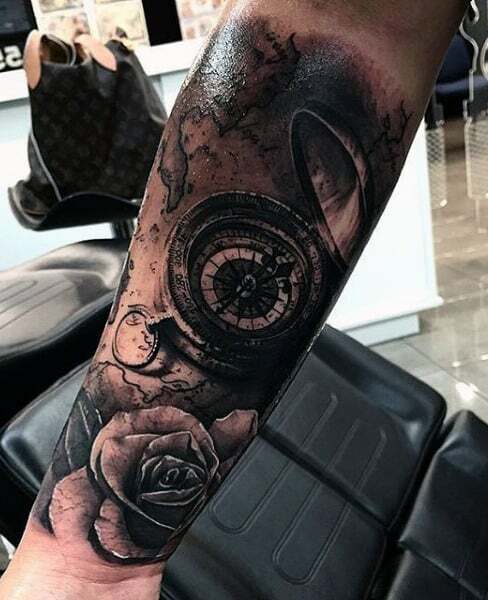 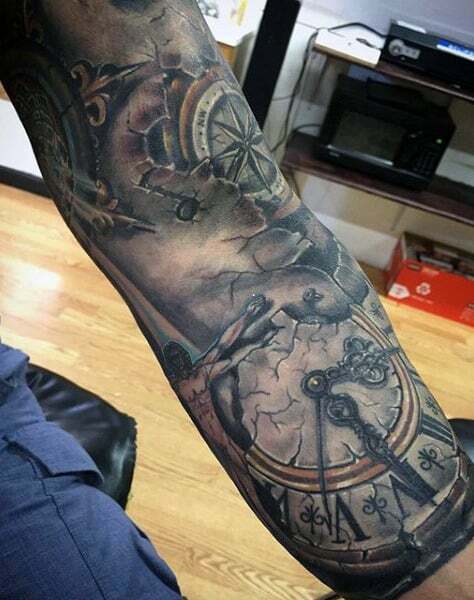 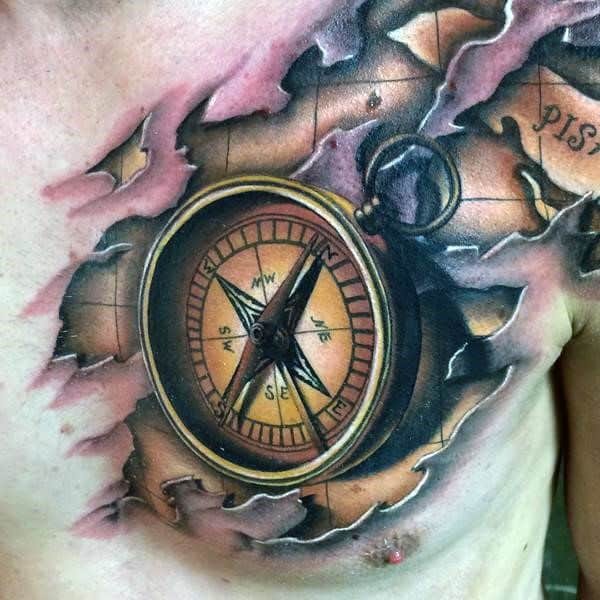 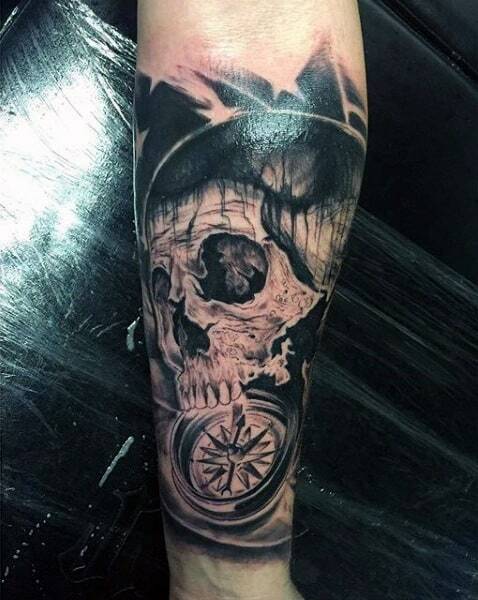 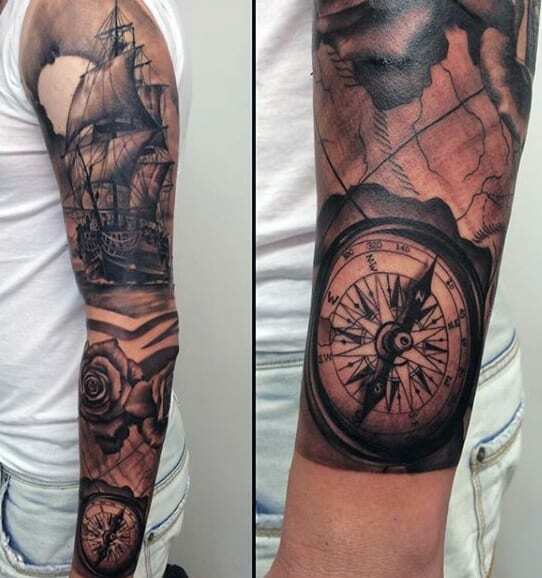 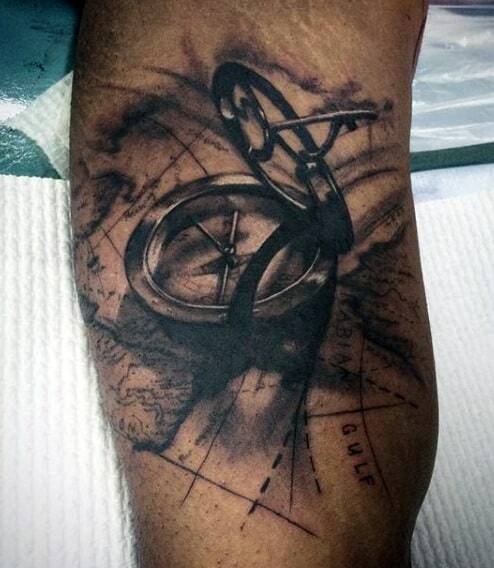 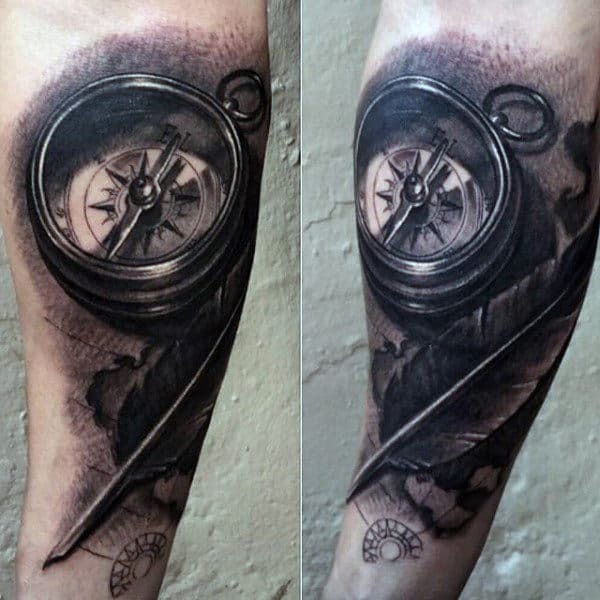 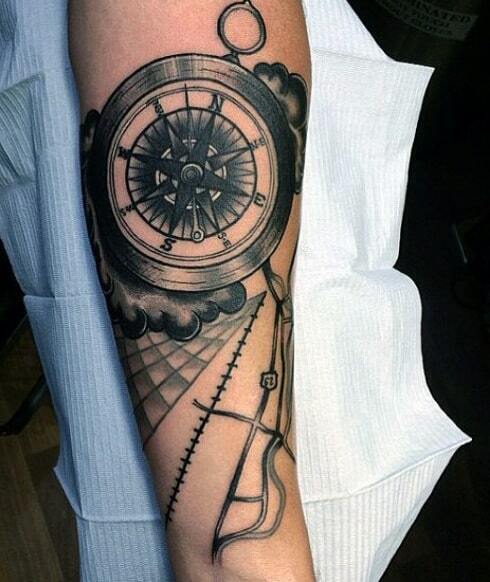 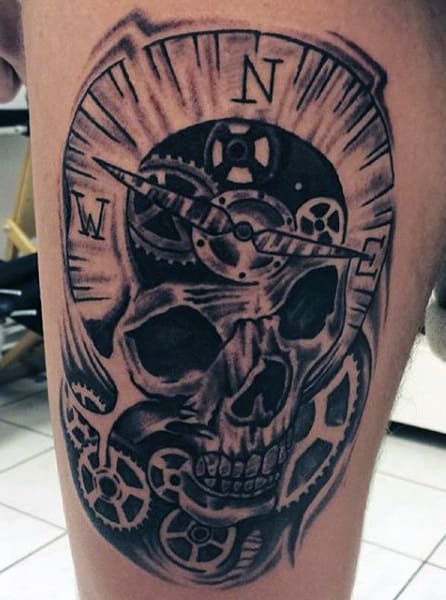 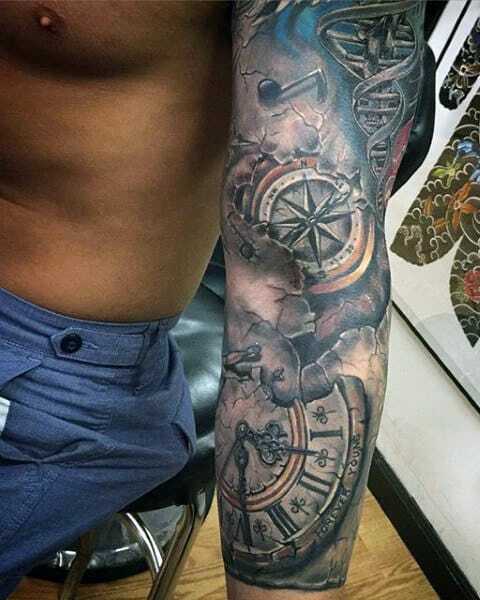 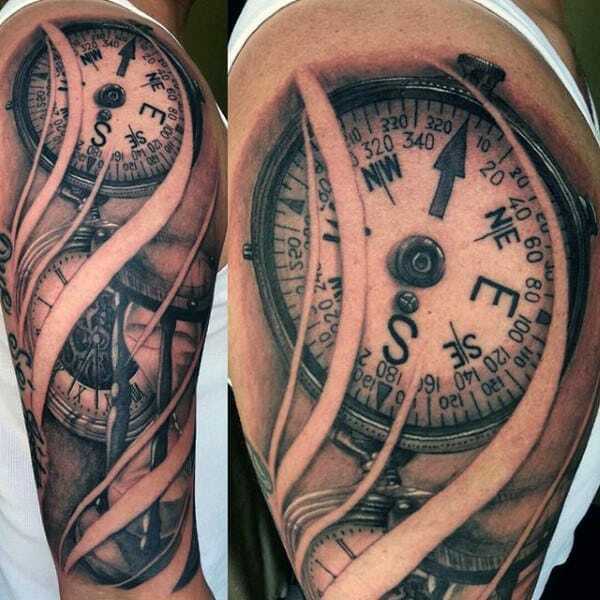 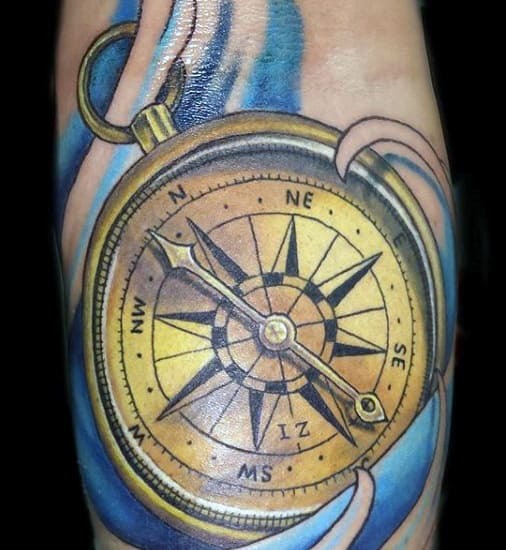 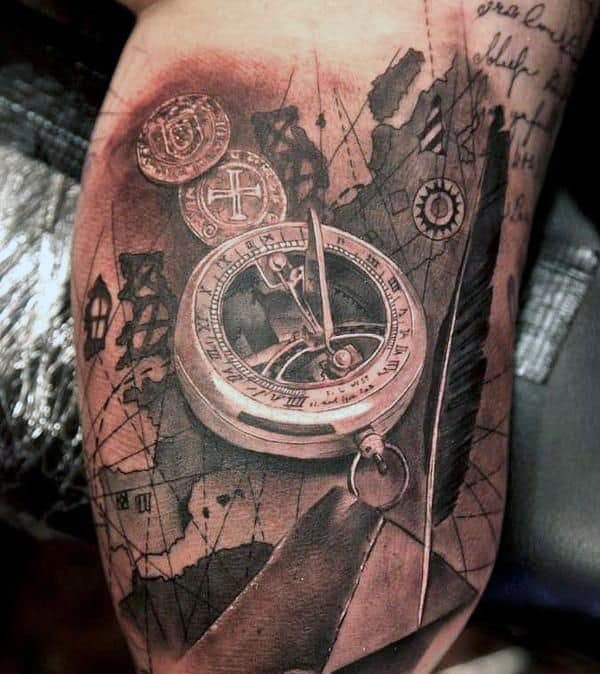 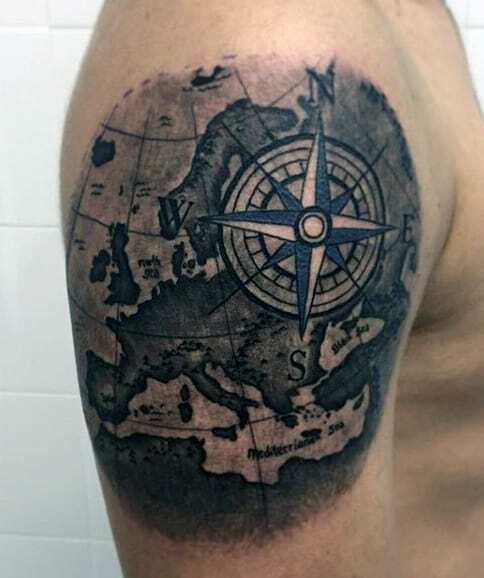 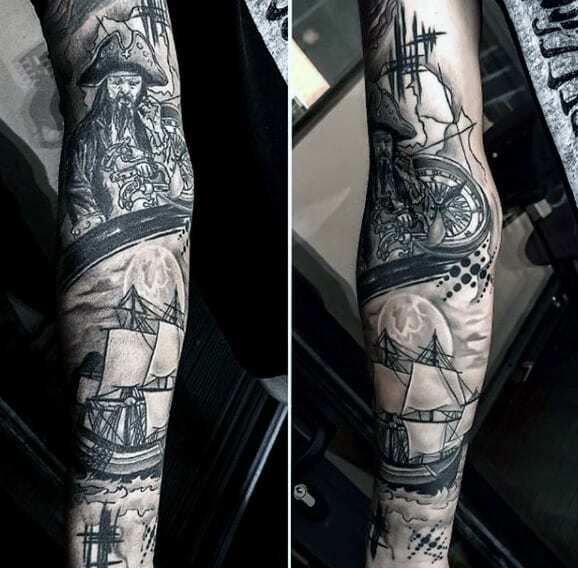 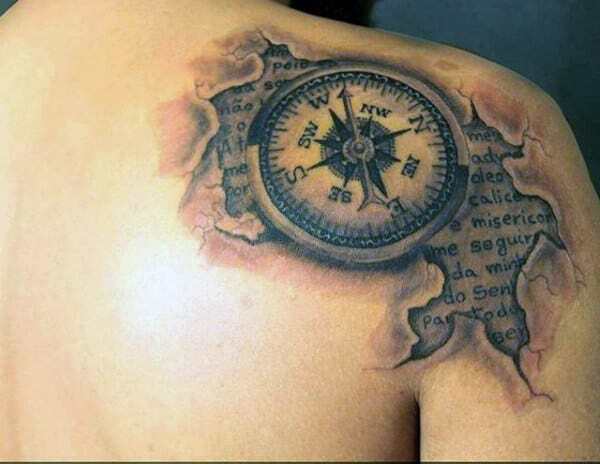 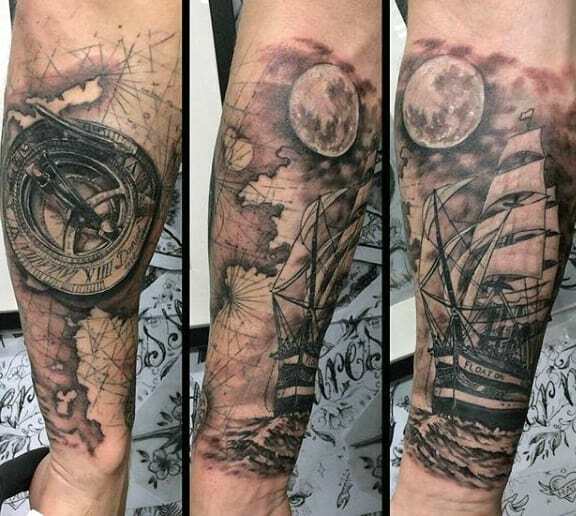 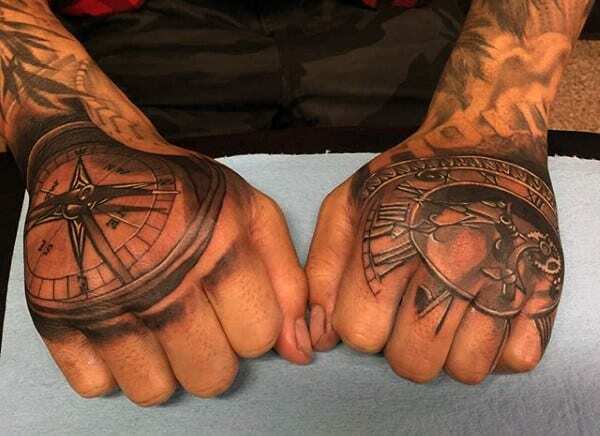 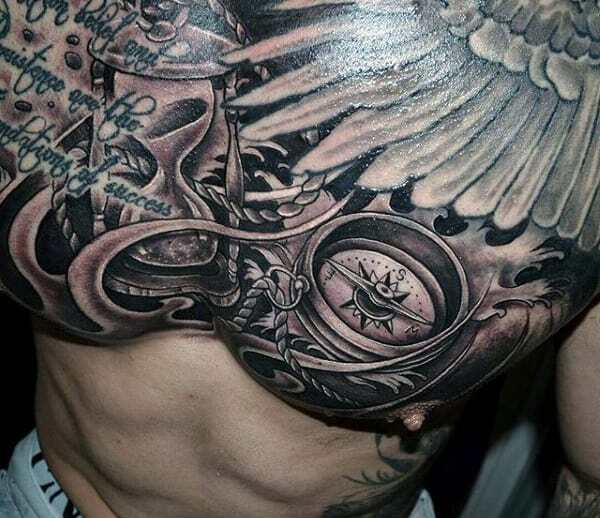 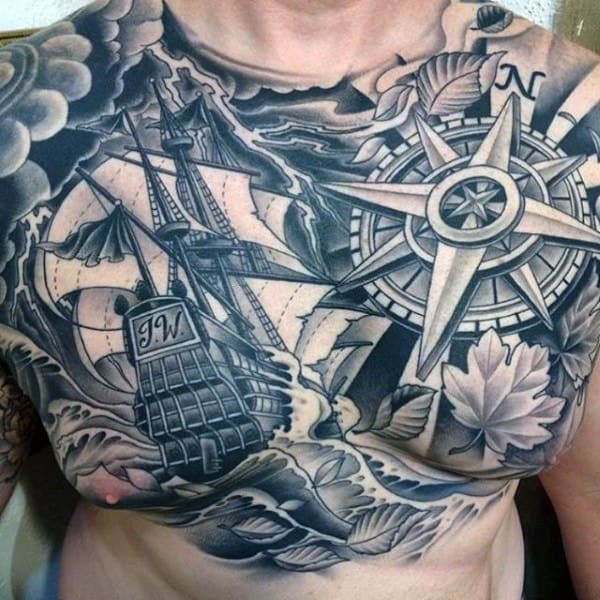 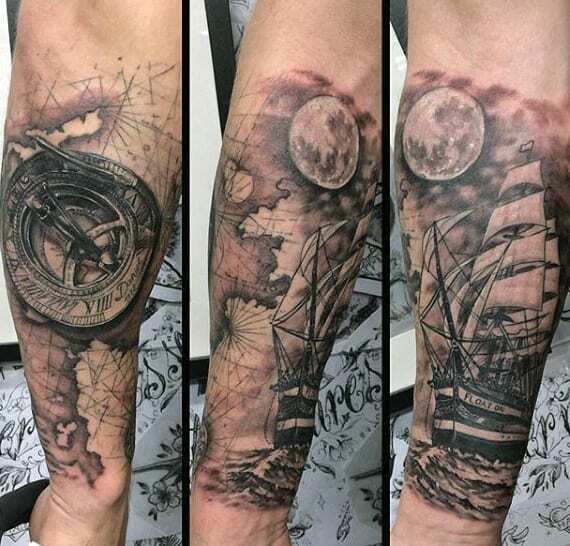 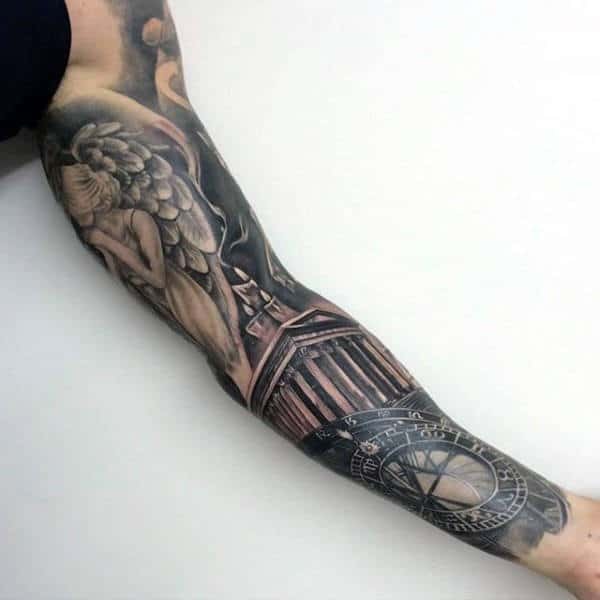 Regardless of what direction you take, you’ll enjoy these top 70 best compass tattoo designs for men. 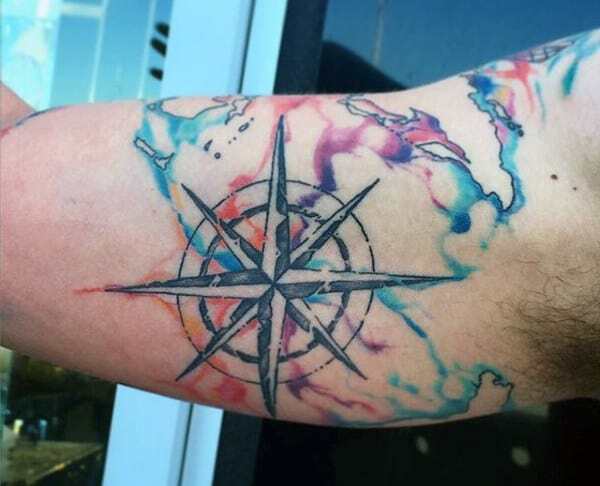 Perhaps in a sense, I’ll be able to guide you on a journey of inspiration and ideas.